Nashville, TN – For a second straight year Austin Peay State University post player Chris Horton has been named to the Preseason All-Ohio Valley Conference team, as chosen by league coaches and sports information directors. 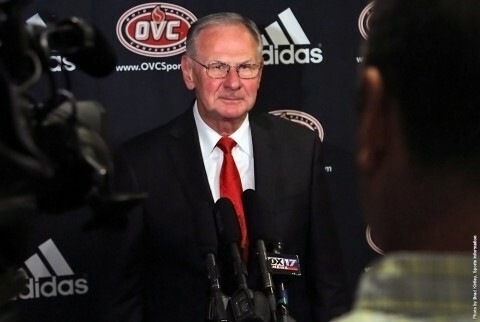 That was announced Tuesday at the OVC’s annual basketball media day, held at the Sheraton Music City Hotel. Charolotte, NC – Once again taking its customary seat at the March Madness table, Belmont University men’s basketball nearly orchestrated one of the most memorable outcomes in NCAA Tournament history, taking two-time defending Atlantic Coast Conference champion Virginia to the limit before dropping a 79-67 decision Friday at Time Warner Cable Arena. 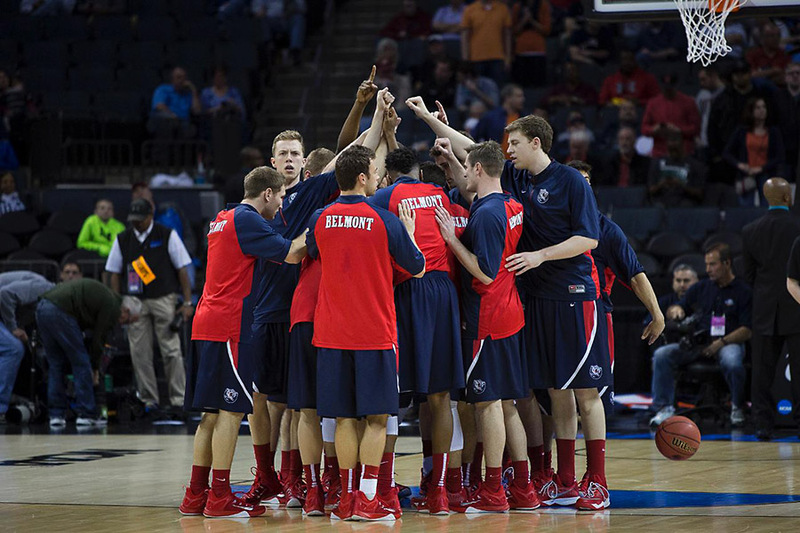 Nashville, TN – Belmont University men’s basketball will face national power Virginia (29-3) of the ACC Conference in the second round of the 2015 NCAA Men’s Basketball Championship. Belmont received a No. 15 seed and will face the second-seeded Cavaliers Friday from Time Warner Cable Arena in Charlotte, NC. Tip time, television and broadcast crew will be announced shortly. 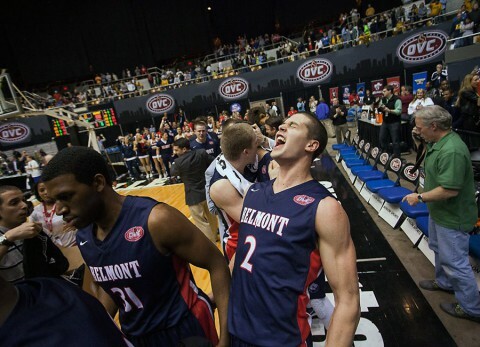 Belmont (22-10) – making its seventh NCAA Tournament appearance in 10 years – will represent the Ohio Valley Conference for the second time in three years. Nashville, TN – Belmont University men’s basketball sophomore Evan Bradds (Jamestown, Ohio) sank two free throws with 26 seconds remaining and used a final defensive stop to outlast Eastern Kentucky, 53-52, in the semifinal round of the 2015 OVC Basketball Championship. 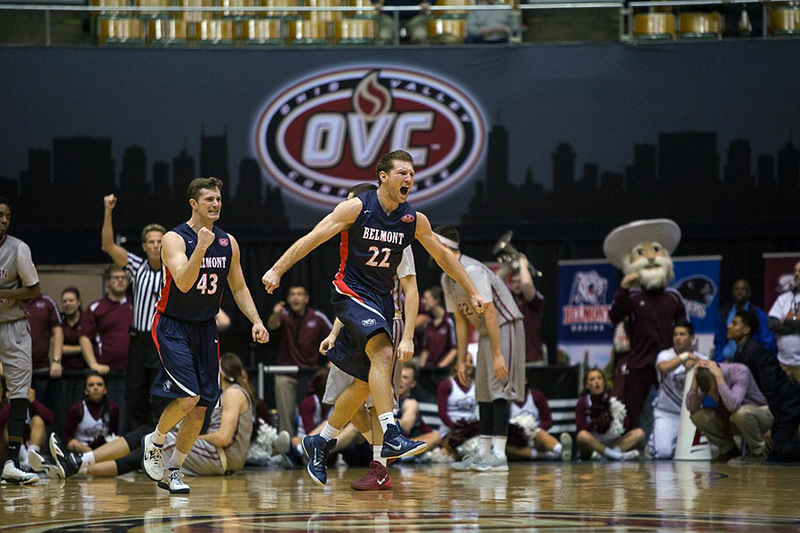 The game was a rematch of the 2014 OVC Championship, which saw the Colonels claim a 79-73 victory. Three-pointers from sophomore Taylor Barnette (Lexington, Ky.) and junior Craig Bradshaw (Ridgetop, Tenn.) sparked Belmont to an early 6-2 lead.